Forget what you’ve heard about chili being a Texas-only specialty. A study by one of the world’s largest chili purveyors shows that residents of cities across the country love this classic comfort food as much or more than their Long Star State counterparts. The internal analysis, conducted by Wienerschnitzel in honor of National Chili Day on Feb. 22, named the Top 10 Chili Cities in the United States. Residents in these markets eat more chili per person than residents of other cities, have access to more restaurants known for their chili and are more likely to enter or attend a chili cookoff. These residents also more fully embrace their cities’ chili culture or openly demonstrate their love for the famous dish. According to Doug Koegeboehn, chief marketing officer for Wienerschnitzel. the list of “Top 10 Chili Cities” includes not only expected chili capitals in the Southwest but other markets like Los Angeles, Chicago, Cincinnati and Springfield, Mo., known more for seafood, Midwest comfort food or ethnic dishes than the American classic dish. The survey ranked Los Angeles atop the list, followed by Dallas; Phoenix; Houston; San Francisco/Oakland; Chicago; Baton Rouge, La., Springfield, Mo. ; and Cincinnati and San Antonio who is credited with first popularizing chili in the 1890s, rounded out the top 10. Wienerschnitzel combined its own and third-party chili consumption data with local restaurant and chili cookoff trend information and other quantitative and qualitative research to develop the ranking. In addition to its namesake Chili Dog, the Irvine, Calif.-based chain specializes in Chili Cheeseburgers, Chili Cheese Fries and 10 other menu offerings made with its secret-recipe chili at 333 restaurants in 11 states. Wienerschnitzel is celebrating National Chili Day on Feb 22 with its Chili Lovers Combo, featuring a Chili Cheese Dog, Chili Cheeseburger, Chili Cheese Fries and a small drink, available at a discounted price. 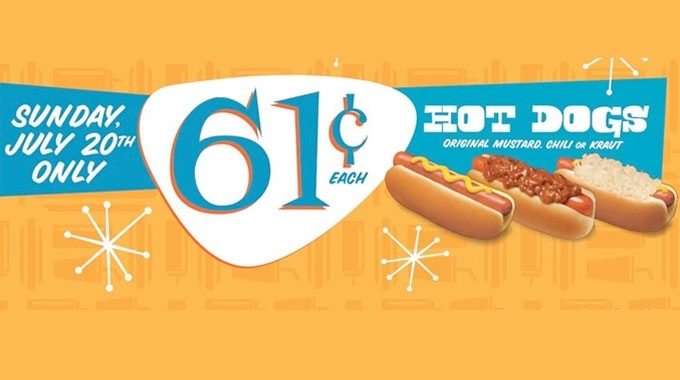 Chili fans can also get 5 Chili Dogs for $5.95 any day of the year. For menus, locations and driving directions to the nearest Wienerschnitzel, visit locations.